Our DHS Conditioning Rinse is the perfect compliment to all DHS Shampoos. 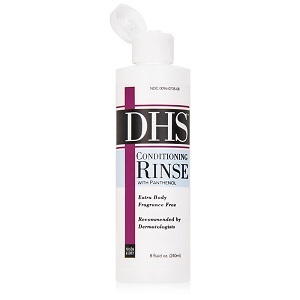 Gentle and unscented, DHS Conditioning Rinse adds shine and body without weighing hair down or creating build-up. Formulated with Panthenol, it brings all hair types to their most manageable and luxurious potential. Used daily, DHS Conditioning Rinse is the perfect finish to your hair and scalp care routine. Shampoo and rise well (We suggest DHS Shampoo). Then apply a generous amount of DHS Conditioning Rinse and work evenly through the hair to the ends for 60 seconds. Rinse with warm water for 30 seconds.